Here are five fun facts to test your kung fu knowledge! 1) Technically, “kung fu” isn’t just a martial arts name! Directly translated, the characters used to write kung fu, 功 (gong) and 夫 (fu) mean “work” (or achievement, or accomplishment) and “man;” together, “the achievements of man.” So kung fu is any craft you strive to become accomplished in! However, if you tell someone you’ve been practicing your kung fu, when they ask you show them some moves and you bust out that tap dancing routine you’ve been working on, you can probably expect to get some confused looks. 2) Kung fu ~might~ not have had Chinese origins. Or, at least, its founder didn’t. The kung fu we recognize today got its start sometime around 527 AD, when an Indian monk named Bodhidharma traveled to a Shaolin temple in China. According to legends, Bodhidharma took one look at the Shaolin monks and was like, “Wow, okay, you guys need to get in better shape. *” He began teaching them the exercise principles that would, eventually, form kung fu! This isn’t an airtight account, of course. Other parts seem…. historically questionable, like the bit where the Shaolin monks don’t let Bodhidharma into their monastery at first so he meditates in a cave for nine years until his unyielding stare burns a hole in the rock. Still, like all mytho-histories, Bodhidharma’s story probably contains elements of true history. *He might have worded it differently. 3) The different styles are based on animals. Okay, you probably knew that one. You might even know the five main styles: tiger, leopard, crane, snake and dragon (if you’re a Kung Fu Panda fan, you probably know the alternative set of main styles: tiger, crane, snake, monkey and mantis). Each of these styles has specific, distinct elements derived from its namesake animal. Snake focuses on quick, whiplike movements; monkey has a hunched, primate-like posture, and so on. What you may not have known is that there are more styles outside of the main ones. A lot more. Want to learn Chicken Kung Fu? It exists. Ever wished you could channel the spirit of everyone’s least favorite bug into your martial arts? Centipede Kung Fu is for you. Other styles include Elephant, Frog, Horse, Duck and Dog. 4) Individual kung fu school owners can set their own belt systems. Or, rather, their own sash systems, since kung fu uses silk sashes in place of belts. There’s no central governing body for the art, which means that there are no strict rules for which colors to use or how many levels there need to be. The typical order is white, yellow, gold, orange, green, blue, purple, brown, red, and finally, black, although it’s also common for head instructors to wear a gold sash to denote their position. Some kung fu schools don’t even use sashes at all! Despite variances in the sashes, the kung fu uniform tends to remain recognizable across schools. 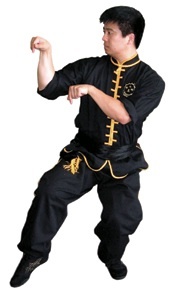 Kung fu uniforms are immediately recognizable, and, for many people, are what comes to mind when picturing a “martial arts outfit” (I mean, it’s that or a ninja). The jackets have shorter, three-quarter length sleeves, Mandarin buttons, and a low collar, while the pants are loose-fitting throughout and cinched around the ankles. Practitioners also often wear shoes (cotton-soled shoes are more traditional but rubber-soled are also popular). 5) Kung fu incorporates really interesting weapons. 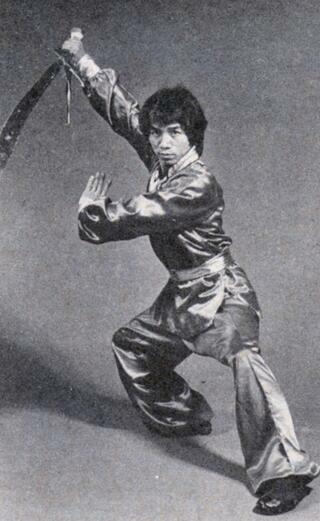 The kung fu broadsword is probably the most familiar weapon associated with kung fu, but it’s not the only one. Spears, straight swords, and gun are also popular. No, that is not “gun” as in “firearm.” The gun staff is essentially the Chinese equivalent of the bo – a long, straight or tapered staff, typically made out of wax wood or rattan. Kung fu also uses some rarer weapons unique to it, like hook swords (see the video below), which look…well, painful. Imagine one of those catching you. No thanks. 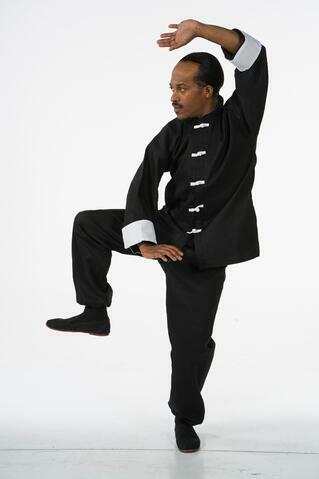 Bonus fact: you can find kung fu gear at Century! As you can tell from these facts, kung fu is pretty cool. If you train, or want to start, we can help you get ready! From traditional uniforms, and even swords (metal, polypropylene, or wood, depending on how daring you are) and other weapons, you can find it with us. Already a kung fu fanatic? Share your favorite facts in the comments!